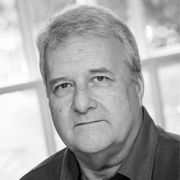 Gordon Perry joined Quinton Edwards in 1995 and is indispensable to Simon Quinton Smith! Due to the distances Simon has to travel, on average a 1,000 miles per week, Gordon travels with Simon undertaking most of the driving. He was trained as draftsman so one of his roles is measuring the buildings and sites we are instructed to value. When he and Simon are not travelling, he assists in the preparation of reports, carries out research and general office duties.